The wreck was not discovered until 1983 by German Navy divers. They removed both screws. Struck by multiple gunfire and a torpedo strike at 2,000 yards from HMS Onslow. 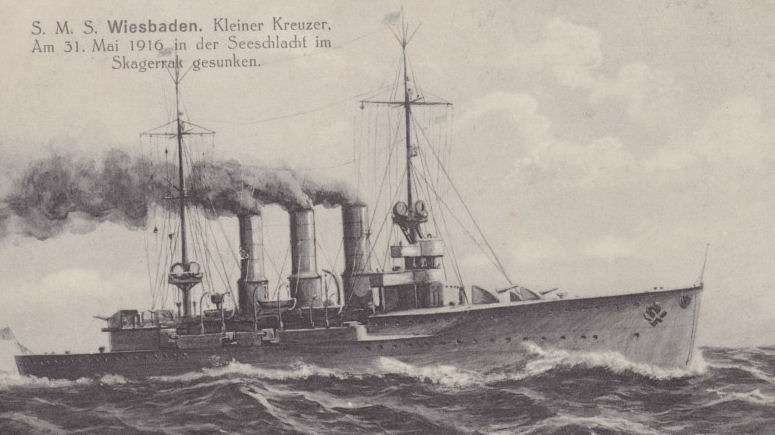 She sank between 01:45 and 02:45 June 1st 1916. Carried 1,280 long tons of coal and 460 lomg tons of oil giving her a range of 4,800 nm (5,500 miles). 10 coal fired water tube and 2 oil fred boilers. Gave 31,000 shp (shaft horsepower).